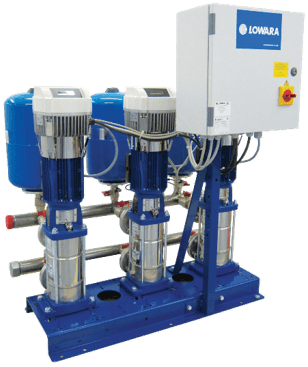 Our range of booster sets ensures a smooth-flowing solution to problems of insufficient volume and/or water pressure. 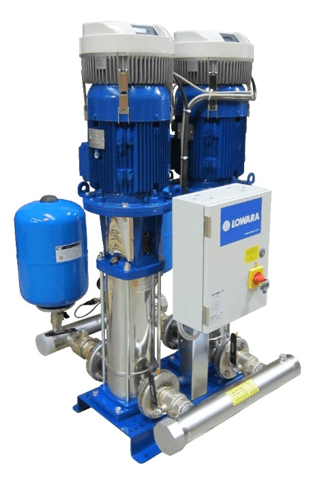 Using fixed or variable speed technology our booster sets are designed to deliver sufficient pressure in various applications such as a block of flats, or to prevent back contamination in abattoirs, sewage treatment works or chemical plants where water supply has to be interrupted. 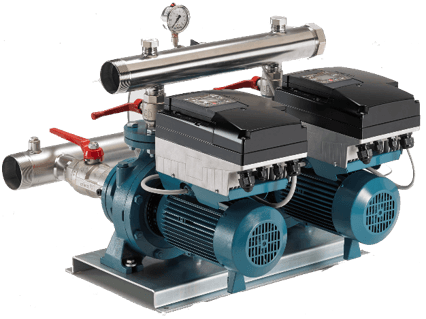 BS Series packaged booster pump sets are designed for building services applications, and are available in one, two or three pump configurations. They comprise WRc-approved horizontal or vertical multistage pumps and Table X copper pipe manifolds, all of which are mounted on powder-coated and panel supports. 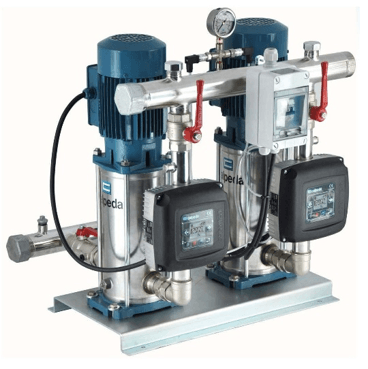 BS series pump sets also incorporate individual pump suction and discharge isolation valves; non-return valves for each pump; glycerine-filled pressure gauges; and a choice of pressure vessels complete with replaceable diaphragm. 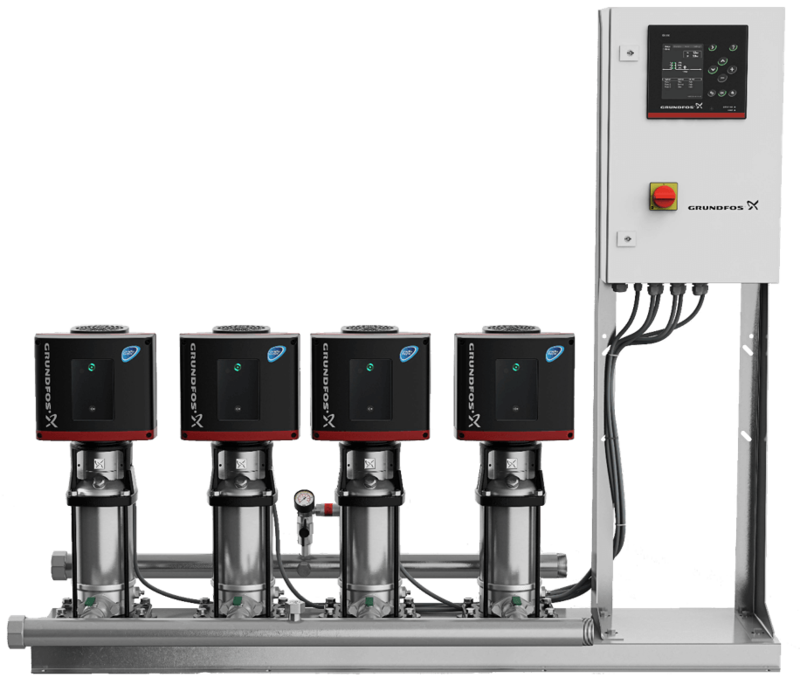 Control systems are available as fixed or variable speed options. Please browse our products and application pages to review our full product ranges, along with their predominant uses. If you do not see the product to suit your project, contact us directly on 023 9226 8511 or email [email protected], where a member of our technical team will assist you with your requirements.